The following is a list of the top five WhatsApp pranks to make fun of your friends. They will not believe their eyes! April fool’s day or not, there is no time to make fun of your friends, especially the ones who are a bit touchy. Technology changes all the little things in everyday life, involving any field. Jokes and pranks are not exempt from this phenomenon. In fact, by using some specific apps you can plot funny WhatsApp pranks that the victims will never forget. The following are the best jokes to mock your friends on WhatsApp. Are you ready to split your sides with laughter? Well, all you need to do is download some apps on your phone. You don’t need the victim’s device. Here are the five gags. Among the WhatsApp pranks, this is the most malicious. Take a picture of you or anything else around you and add a frightening ghost to it. There are many apps available that do this, both on Android and iPhone. The following are the best for playing this scary prank. Android: GhostCam: Spirit Photography for Android. This is probably the best app of this kind on the market. iPhone: GhostCam Camera FX – Prank your friends adding phantoms in cam pictures. Add scary ghosts to your pictures. Send them by WhatsApp to your friends or share on any Social Network. Download the application “Dude, your car” for Android and iOS. Take a shot of the car of the victim, and some special filters allow you to simulate damage and scratches. Then just open WhatsApp and send it to the victim. Fool your friend and send them a voice message that makes you appear to be somewhere else. You can make them believe you’re anywhere, even in a savannah! The voice messages can also be postponed. Follow this guide to send a voice message with a fake background. 4. Add fake backgrounds to your pictures. Imagine the face of your friends if you sent them a picture of yourself at the other end of the world. An app called Background Eraser makes it possible both for Android and iOS. All you have to do is take a picture of yourself (on a white background) and remove the background. Then, pick an image from your camera roll or from the Internet and set it as the new background. Lastly, send it to the victim via WhatsApp. Last but not least, there is an easy trick to send a fake location on WhatsApp, making you appear to be somewhere else. Just follow this quick guide to fake GPS position. 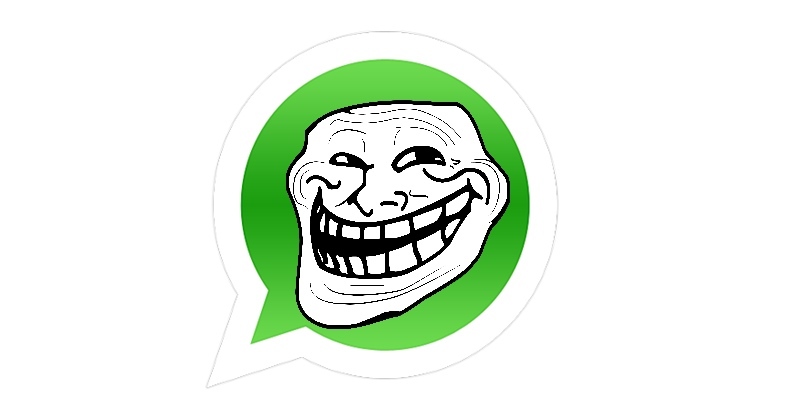 Have you played some other amazing pranks on your friend using WhatsApp? Share them with us! Use the comment box and tell us what you did.